Refuge Cove, Alaska, stays true to its name when a woman who has lost hope and a man in need of healing come to each other’s rescue . . .
She came to Alaska on the promise of marriage, only to find herself on the run from her would-be husband. Lost and alone in the wilderness, Emily Hunter nearly weeps with relief at the sight of a small plane in the distance—until the rugged bush pilot makes his way through the brush to help her. Can she trust this stranger any more than the menacing predator on her trail? But there’s something in John Wolf’s dark eyes that wills her to believe in him, something about his gentle nature that allows her to accept his offer of protection . . .
He’d let her into his life because he knew she was in trouble. The last thing John Wolf expects is to feel so much so quickly for the vulnerable woman in his care. 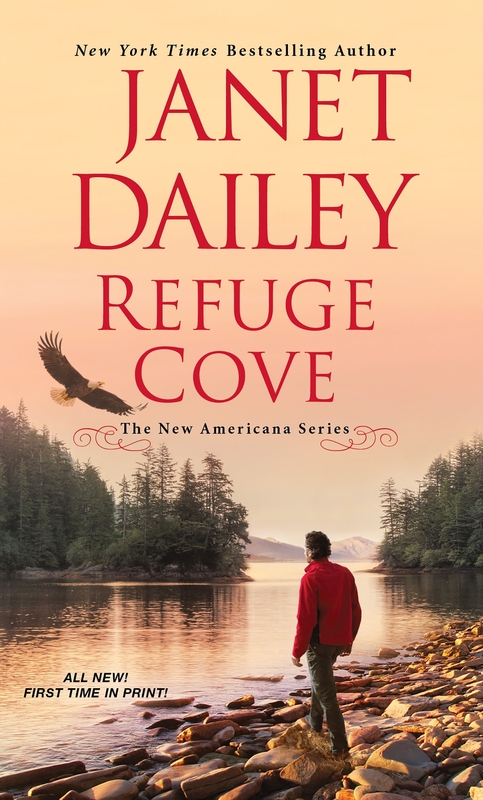 For sharing his lonely wilderness home with Emily means allowing her to see his sorrow—the son he longs to reconnect with, the loss of the family he once dreamed possible. Sharing his heart with Emily means being willing to risk everything to keep her safe . . .
Love Refuge Cove? Subscribe to Read More to find out about similar books.